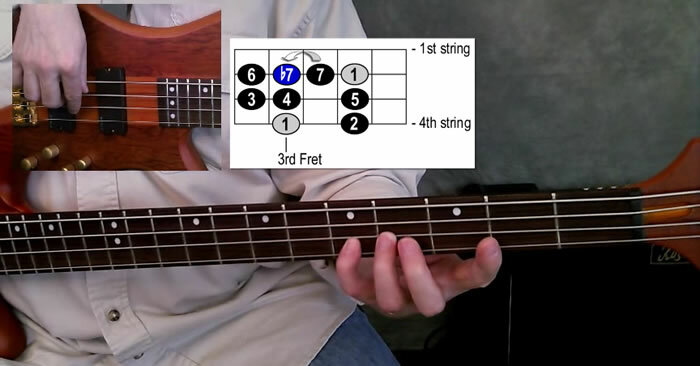 Learn how to play the bass line to the classic Chicago Blues tune “Call It Stormy Monday” from T- Bone Walker. MP3 Jam Track Included. Learn how to choose which plucking hand fingers to use in a basic blues. MP3 Blues Jam Track included. 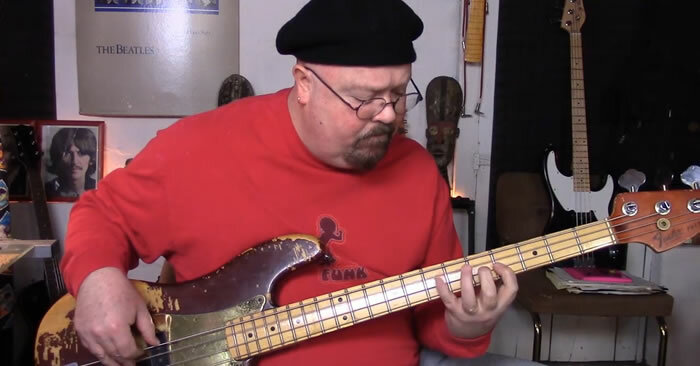 Learn blues bass line ideas using the Dorian Mode and the Minor Pentatonic scale. 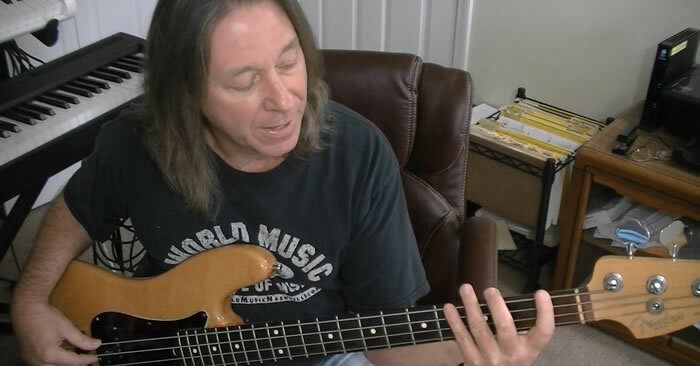 Learn blues bass line ideas using Mixolydian and Major Pentatonic. 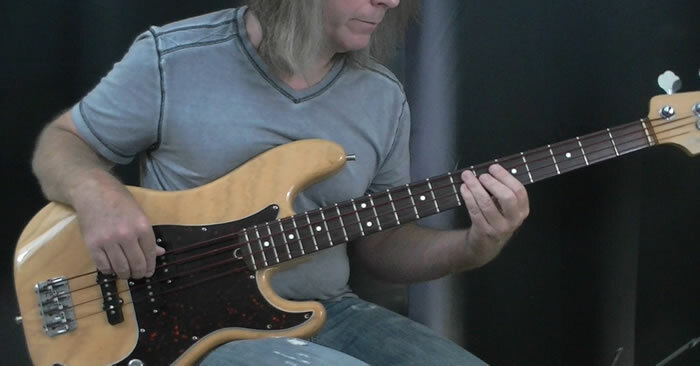 These are common sounds used in many traditional blues bass lines. 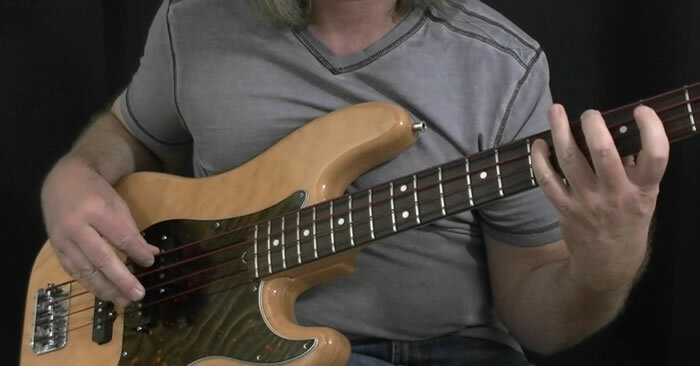 This intermediate bass lesson focuses on playing a blues style bass line in the key of A. MP3 blues jam track included. 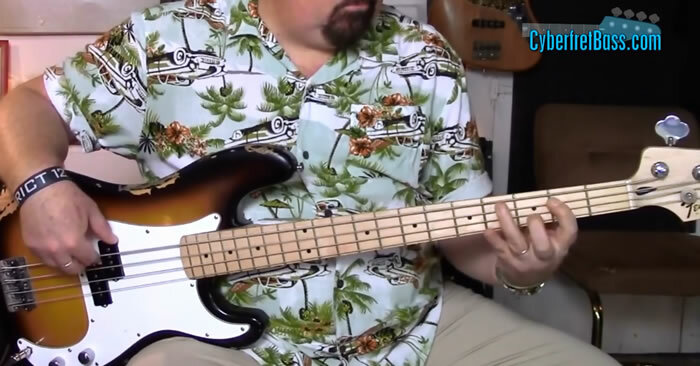 Learn how to play a basic blues bass line in the key of E. This is a good one for all beginning bass players to know. 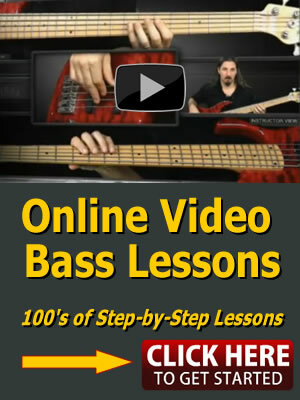 Learn a cool funky blues bass riff. 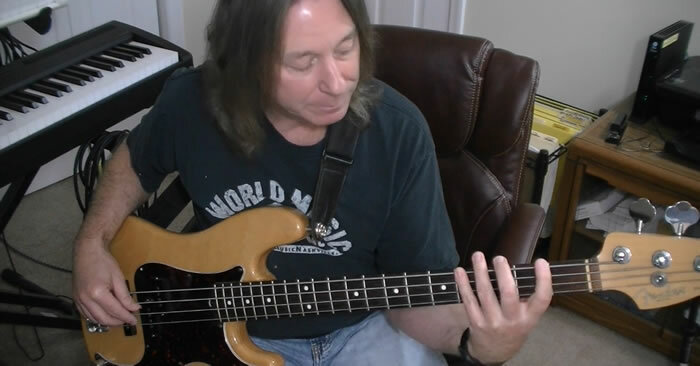 This bass riff is made up of 2 parts that gives a question and answer feel.